Anxiety is often like a snowball rolling down a mountain. It starts out as one small thought, but as it rolls it picks up more snow and rather quickly becomes larger and larger, eventually the snowball becomes a boulder rolling down the hill and ready to destroy. As anxious thoughts spin in our heads they pick up more ideas, and it can be hard to reign in an anxious thought once it gets that much momentum. 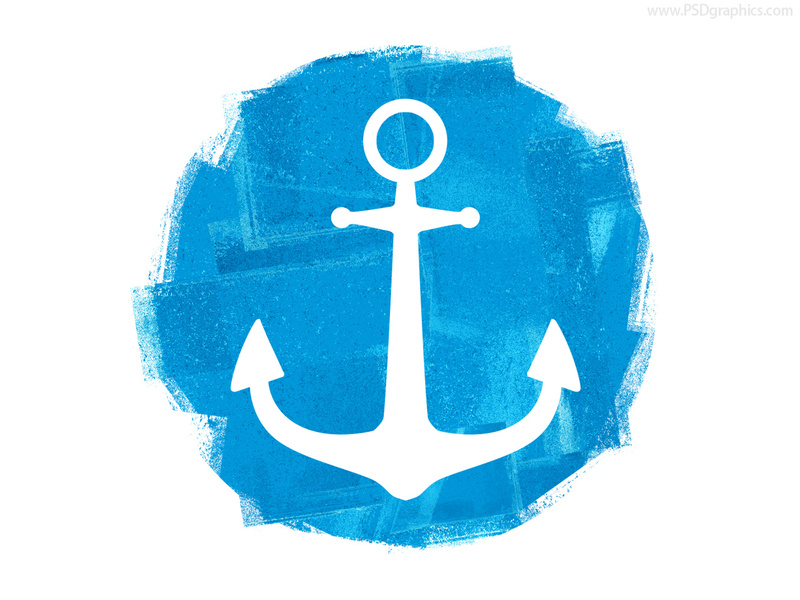 One helpful and practical tool I utilize in my life and the life of those I counsel is anchors. Anchors help to interrupt a cycle of anxious thoughts and ground people in the present. The Bible warns us that “anxiety weighs down the heart” (Prov. 12:25a). Those who have experienced episodes of consuming and spiraling worry know this “weight.” Spiraling anxiety causes one to dread the future, to lose hope, to feel a crushing sort of discouragement. It becomes increasingly difficult to navigate the terrain of this type of worry, even when we know what we should do. It’s common for Christians to be told that they must “take every thought captive to the obedience of Christ” (2 Cor. 10:5) when they confess their anxiety. This is true and important counsel, and yet when that snowball is moving down the mountain at a fast pace and picking up more and more snow it is increasingly difficult to stop the momentum. When anxiety has already developed into a lead weight and sits on our chest it’s hard to find the strength to lift it off. How, do we take thoughts captive when they already seem so far out of our control? We need something that will disrupt the process of spiraling and that’s where anchors can become useful tools. Anchors are specific tools designed to engage us in the moment, to keep us in the present in away that disrupts the anxious ruminations and “what if” thoughts. The Bible warns us that as a man thinks in his heart so he is (Prov. 23:7). What we dwell on has massive power over us, and so we need to stop thoughts long before they snowball. Anchors serve to interrupt the process of thoughts by occupying our whole self in some other activity. Anchors should engage the body and the mind. They should cause a person to shift focus. Any activity that I can do while still dwelling on my anxious thoughts does not serve to ground me. It must be something that walks the fine line between stressful and un-engaging. Dr. Charles Hodges has described utilizing the practice of “knitting” with one counselee he saw who suffered from obsessive compulsivity. The knitting was a tool that occupied her mind and hands, and the patterns she knitted were not difficult but were new enough that she needed to pay attention. The goal is to disrupt our anxious thoughts, and shift our focus long enough to be able to reorient our minds towards whatever is “true, noble, right, pure, admirable, excellent, and praiseworthy” (Phil. 4:8). See – Engage your eyes. Find activities that cause you to focus intently on something. One of my counselee’s found that puzzle books were particularly helpful. Having to locate all the images in the picture was not stressful, but it required focus and attention. Touch – Our emotions can be fueled by bodily sensations. Holding and feeling something specific in our hands can be a particular way to change and challenge those sensations. What do you enjoy? Find a physical sensation that can occupy your hands. Think of items that have a strong or distinct feel to them: a leather ball, silk, an ice pack, a warm cup of coffee, etc. One counselee I had found that holding a small dice in his pocket and attempting to feel what side of the dice he was holding occupied him well enough to disconnect from an anxious feeling. Sound – External noise can add to the internal noise we sense in moments of panic. Give your mind an opportunity to concentrate on a particular sound so it can refocus us in the present. Again, pleasant and distinct sounds are necessary if they are going to help provide calm and stability. Perhaps a particular song has that power (avoid high volumes and high tempos), or the reassuring sound a friend’s voice, or simple white noise (a fan is a good tool). Focus on listening to the sound intently. What do you hear? Taste – Tastes also come with their own distinct associations, so having a good taste on hand can be a useful tool in anchoring someone in their present experience. I encourage counselees to carry a favorite piece of candy with them, a mint or a piece of gum. You want something that can be popped in the mouth quickly, nothing you have to fix and prepare. The goal is to disrupt anxious thoughts and not let them carry us away. Consider activities or items that engage our body and mind and cause us to disconnect from spiraling thoughts. I like the way the NASB translates this passage. It says, “When my anxious thoughts multiply within me…” that is a great description of spiraling worry. For the Psalmist, however, it is the consolation or comfort that the Lord provides which brings joy again to his soul. We want to stop the snowball before it gets down the hill. We want to disrupt the process of spiraling before the spiral gets too large. Anchors can serve to do that. But we don’t want to stop with anchors. We want to calm our emotions, steady our thoughts, and then direct them to the truth and comfort of the Lord. Think about what would work best for you. Share your ideas if you already utilize anchors? Excellent stuff. Sometimes and maybe most times, God uses the simple things. Upon reading this, it occurred to me how “simple” these “things” were. I remember my attitude of having no faith in them. And, that is good! For my faith was NOT in them, but in God and God only. But He, the Master, has used these things in my life to find great peace, joy and freedom. (2) The “My Own Story” Lense: Making up my own story filter. If I allow myself and do not be on guard, I will take a simple scenario such as the man who accidentally backed into my car yesterday–and I will begin to build my own story about that man! Though he is taking care of all the repairs, intrusive thoughts were overrunning me: He didn’t apologize, did he? I would have thought he would give me a free oil change. He was in a bad mood before he ever hit my car. I thought he was my friend. Denise caught me and pointed this out to me, and I have added this to my filters portion. These are two false filters I personally use often which spiral me down, way down. As I mentioned, I am passing this information along to others. A very close friend of mine is working these principals while trusting in God, and she is seeing magnificent results and freedoml. It is exciting to share these things with her and watch her freedom come. A Note: Vulnerability and transparency are good tools and good traits. I have not hidden from others the great battle I had with anxiety. It was very humbling for me to make known that I, as a CBC Counselor, had removed myself from counseling because I needed counseling myself. Very humbling. Exposing my sins was humbling, but as I share with others, others come “out of the closet,” and this opens the door for God to work! I am grateful! To God, to you, to Denise, and every saint who has walked this walk with me. Praise God From Whom All Blessings Flow!